Here's a cartoon from the US in the 1930's. 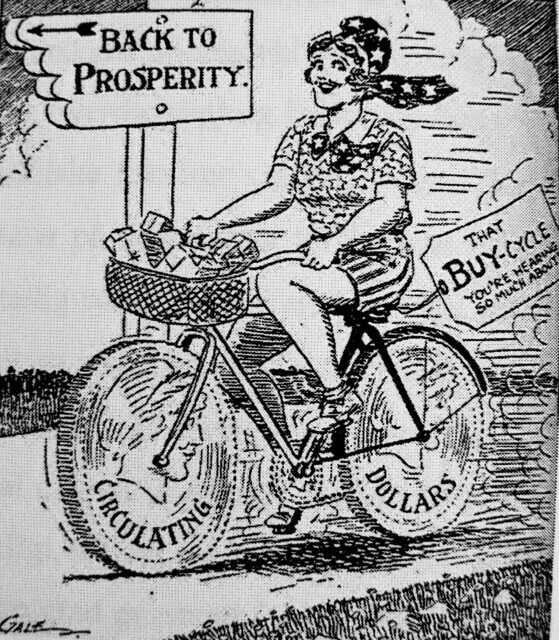 Encouraging people to buy bicycles was seen as a way of kickstarting the economy in a time of economic crisis. We've blogged previously about how the then Finance Minister in Denmark encouraged people to buy bicycles for the same reasons as in the cartoon.